If you’re part of the Hilton College community and are looking for a job or internship, you came to the right place! 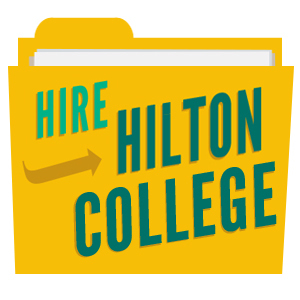 HIRE HILTON COLLEGE, the College's job bank, is a one-stop shop for managing your career! Current students: Log in to Access UH, click the HIRE HILTON COLLEGE logo and upload your resume. Then you can browse available jobs and internships! Alumni: Access HIRE HILTON COLLEGE by clicking here. First-time users will need to register for a new account.